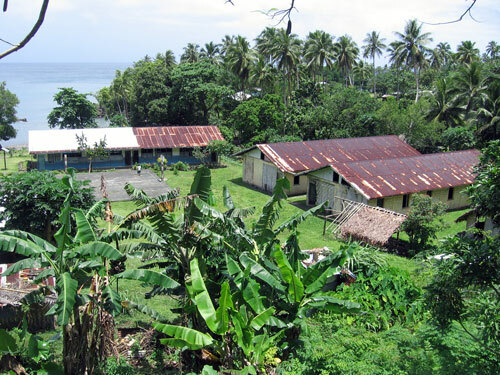 Nasawa Village, with a population of over 400 people, is one of the largest communities on Maewo Island. Most villagers have maintained their traditional way off life, building small huts using traditional materials, consisting of bamboo trees for walls and coconut leaves for the roofing. The local communities have recently expressed concerns over population growth rates and diminishing fish and prawn catches, increased forest clearing for farmland, and an increase in bird and water eel catches. 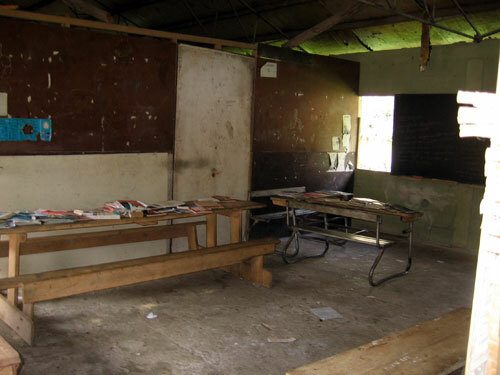 Since the 1980s, the community of Nasawa has been seeking financial assistance from the local government for renovation of their historical school buildings. 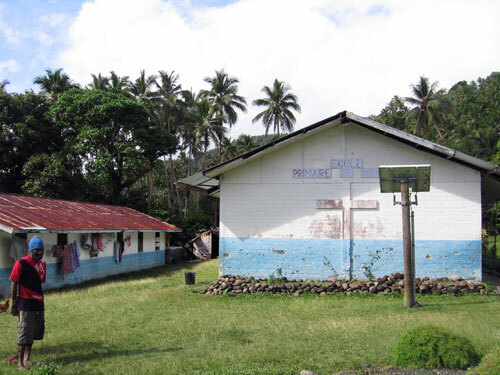 Seacology is providing funds to renovate these school buildings. In exchange, the Nasawa community will preserve all bird species and hardwood trees commonly used for timber in a 1,339-acre area. Additionally, they will set aside a 62-acre area as a no-take marine reserve for fish, shells, turtles, and crabs for minimum of 15 years. Seacology's mission is to preserve threatened island habitats along with historic island cultures around the world. Its vision is to reverse the trend of island plant, marine, and wildlife extinctions globally, fostering biodiversity and supporting island cultures worldwide. Seacology has created an innovative model of ecosystem preservation that is inexpensive, maintains indigenous land ownership, and improves the whole island community. Seacology implements solutions by asking islanders to identify a communal need Seacology could support, such as an elementary school or fresh water delivery system for island villagers. In exchange, the village agrees to establish and manage a marine or terrestrial reserve. Seacology searches for win-win solutions where both the local island environment is protected and islanders receive some lasting benefit for doing so. In the past 500 years, the overwhelming majority of extinctions have been island species. Due to the self-contained nature of island environments, their ecosystems are exceptionally vulnerable to damage caused by introduced species, inappropriate development, pollution, and global warming among other hazards. Island coral reefs, mangrove forests, and rainforests, which play host to an astounding array of marine and terrestrial life, are some of the world's most threatened ecosystems. Yet because individual islands are often small and remote, little philanthropic and non-profit resources have been devoted to preserving island biodiversity specifically. Seacology was established to address this critical need. To date Seacology has launched 171 island-based projects, saving 1,808,452 acres of marine ecosystems and 157,181 acres of incredibly precious terrestrial habitat. In return for establishing island marine and forest reserves, Seacology has helped islanders build 76 facilities such as schools, community centers, solar energy systems, and other critically-needed structures, and funded 26 programs providing scholarships, vital medical services and supplies for island communities. Seacology has field representatives around the world who scout its projects, and each individual is indigenous to, or intimately familiar with, the areas for which they are responsible. Each one is well-qualified and maintains regular contact with Seacology's home office in California, supervising their Seacology projects to completion. Their involvement ensures the cooperation of, and facilitation by, community members in which projects take place. Kevin Tari has been Seacology's Vanuatu field representative since projects began in the island nation, in 2005. Seacology is very well-respected in the regions where it works because of its collaborative and community-based efforts. It cultivates relationships with island communities that benefit both the local people and the fragile biodiversity around them. It collaborates to stem the tide of species extinction, to upgrade the quality of life in island villages, and to share knowledge regarding environmental threats and conservation solutions. The marine and forest reserves are managed entirely by local islanders, and all community benefits have been identified by them as their highest priority needs. Charity Navigator, America's largest independent evaluator of charities, awarded Seacology its highest four star rating for sound fiscal management.